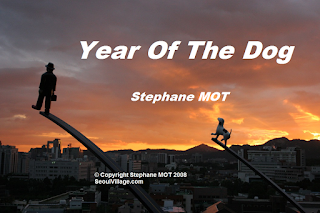 Initially published in French 10 years ago ('L'Année du Chien' - 'Breves', 2007), 'Year Of The Dog' remains so far my only non-fiction Seoul 'dragedie', and the only one written from a foreigner's point of view. Yet it's not my first story featuring a dog - that would be 'Le regard d'un ami' (1979), where the narrator himself is canine. Which, as you'll see, doesn't make me humane. 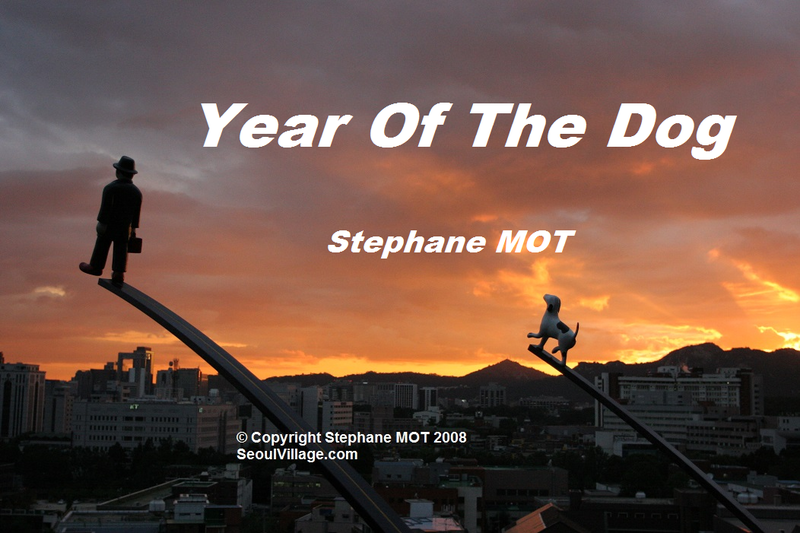 I met this dog in Sanggye-dong, Nowo-gu, along Danghyeoncheon, long before Seoul upgraded it into a park. That streamlet also appears in my essay "Inhuman, all too human Seoul" (picture of an old timer who used to grow vegetables there). Like for 'Guisin-dong', you can download this story for free. I hope you enjoy it, but welcome any comments (e.g. on dragedies website, on Amazon...).